Washington, DC, October 6, 2017: The Washington Oxi Day Foundation is pleased to announce that Senator Daniel K. Inouye will receive the 2017Greatest Generation Award (posthumously) during the 7th Annual Oxi Day Celebration in Washington, DC at the National World War II Memorial on October 26. The late Senator’s wife, Irene Hirono Inouye, will accept this award on his behalf. Senator Inouye joins a distinguished list of previous American WWII veterans who have received this award from the Washington Oxi Day Foundation including: former astronaut and American hero, Senator John Glenn, former Republican nominee for President and Senate Majority Leader, Senator Bob Dole, former Senate Appropriations Committee Chairman, Senator Ted Stevens, former Chairman of the House Foreign Affairs Committee, Congressman Benjamin Gilman, the longest serving Member of Congress, Congressman John Dingell and then-oldest Member of Congress, Congressman Ralph Hall. The Foundation recognizes each year the valiant service of three World War II veterans – one American, one Greek-American and one Greek – and one Korean War veteran. Senator Daniel K. Inouye was the second longest serving member of the U.S. Senate prior to his death, with a distinguished tenure of more than 49 years. As president pro tempore from 2010-2012 – third in line of presidential succession – Inouye was the highest-ranking public official of Asian descent in United States history. 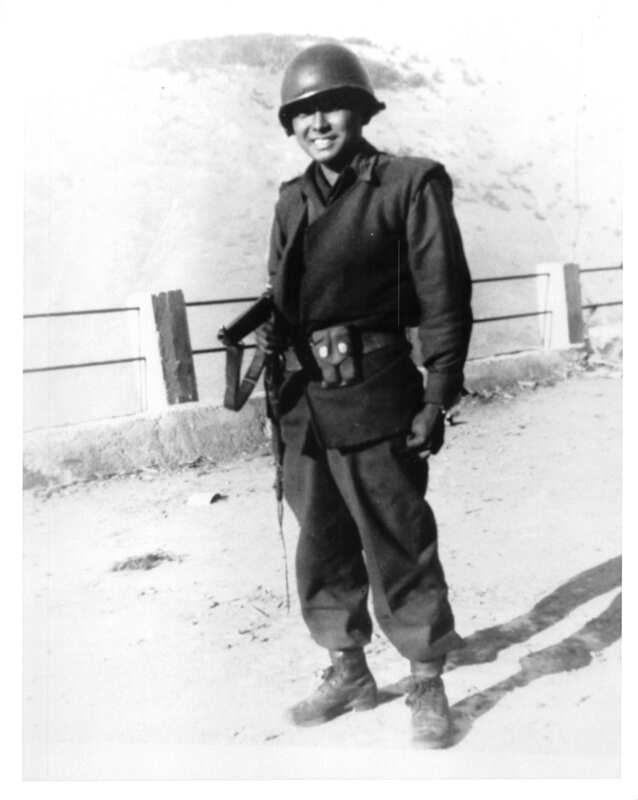 For his heroic actions as a member of the famed 442nd Regimental Combat Team – resulting in the loss of his right arm – the World War II veteran ultimately earned the nation’s highest award for military valor, the Medal of Honor. Inouye was widely respected for his moral courage and his commitment to work in a bipartisan fashion to enact meaningful legislation. He was called upon to serve as the first Chairman of the Senate Select Committee on Intelligence, member of the Senate Watergate committee, and Chair of the Iran-Contra Investigative Committee. He won admiration from all parties for his unwavering integrity. As Chairman of the Senate Appropriations Committee, Inouye focused on defense matters that would strengthen national security and enhance the quality of life for military personnel and their families. Inouye continuously represented Hawaii in the U.S. Congress since it achieved statehood in 1959, serving as Hawaii’s first Congressman before being elected to the Senate in 1962 – the first Japanese American elected to both the House and Senate. For more details, please see the attached invitation. To purchase tickets to the Foundation’s evening gala recognizing modern day heroes for freedom and democracy, please click here.